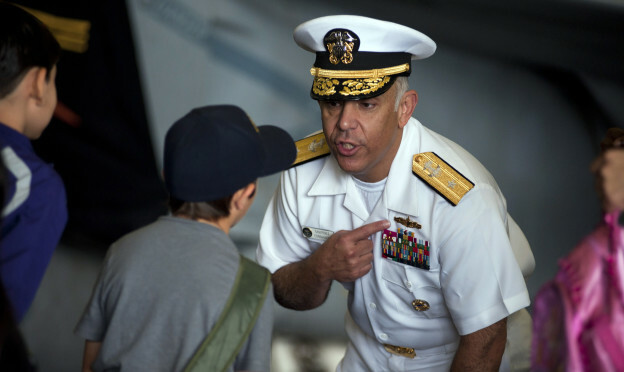 In January of 2012, Vice Chief of Naval Operations Adm. Mark Ferguson directed Perez to evaluate, “ the Navy’s readiness to receive deploy, employ and deploy the Littoral Combat Ship (LCS) vessel,” according to the review’s executive summary. Defense News first reported details of the review in July of 2012. The so-called Perez report found, “that many people involved with the LCS program have forgotten key LCS fundamentals,” and stressed the Freedom-class and Independence-class LCS variants should not be treated as replacements for the Oliver Hazard Perry-class frigates. “Many have forgotten the initial two hulls represent significant departures from the normal shipbuilding path: in fact the focus of the first two ships is to refine concept development, modularity, employment of off-board vehicles and conduct risk mitigation for follow-on flights in the ship class,” read the report. The review went on to say that the Navy needed to modify the concept of operations (CONOPS) of the ship-class so commanders could use them effectively. On top of the areas to be considered were changes in manning. “At present, LCS manning sacrifices the ships’ operational capabilities and systems reliability, and requires senior qualified sailors in numbers that many view as unsupportable,” read the report. Currently, both variants of LCS man the ship with a core crew of 40 sailors with a minimum rank of petty officer. In reaction to the review, the recent March deployment of USS Freedom (LCS-1) embarked with an extra ten sailors that had not undergone the intensive 18 to 24 month training for the hulls. “I would expect them to fill in a variety of roles from in port watchstanding to engineering plant technician and so forth as their individual’s rates and skill sets allow,” said Capt. Kenneth Coleman, LCS requirements officer in a January Interview with USNI News. The review also went on to call for an examination of how quickly the ships could swap the embarked mission packages (MPs) that make up the core of the LCS ability. “The logistics and training challenges tied with conducting MP change-outs leads most operational commanders to predict that ships will retain their embarked MPs for extended periods of time,” read the review. The mission packages — anti-submarine warfare (ASW) , mine counter measures (MCM) and surface warfare (SuW) — have all faced several developmental delays. This week the Government Accountability Office plans to release a report calling the Navy to undertake a review of the ship concept and the House Armed Services Subcommittee on Seapower and Projection forces plans to hold hearings on the program on Thursday.